Can Technology Mend America's Divided Healthcare System? Can Technology Mend America’s Divided Healthcare System? 40 million people in the US lack the security of having a guaranteed meal each day. The US also wastes $40 billion dollars of food each year. It’s a harsh contrast. It seems, however, that it’s a condition we’ve come to accept. “It’s acceptable for some people to work 40 hours a week at a minimum wage that keeps them below the poverty level,” Dr. Gloria Wilder said to the audience at Singularity University’s Exponential Medicine. 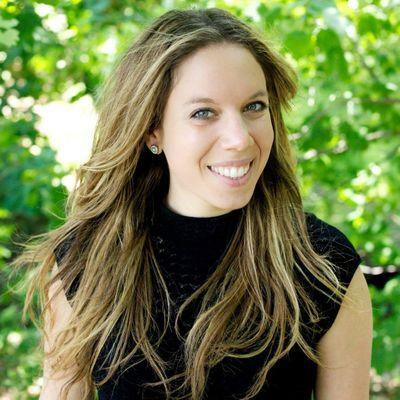 Wilder is a street doctor, CEO of Core Health, and VP of innovation and preventive health at Centene Corporation. Poverty isn’t the only such condition the US tolerates. We’ve also accepted a healthcare system divided by social class. On stage with Wilder was Josh Lee, principle at Deloitte Monitor and specialist in healthcare strategy. Lee said the US spends $10,000 per capita on health care, which is more than the 11 other wealthiest nations in the world. Yet we have the lowest life expectancy and quality of care. Disparity in medical treatment is embedded in America’s healthcare system. It’s a painful truth, and the consequences of limited access to quality doctors and health insurance often creates devastatingly different health outcomes for patients with different income levels. Wilder paints an example of this from when she worked as a pediatrician in Washington DC. 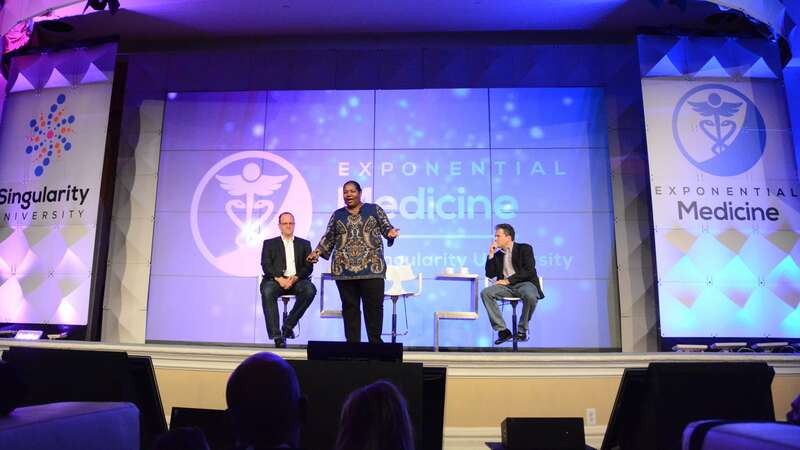 Gloria Wilder, MD, MPH, CEO at Core Health and VP of Innovation and Preventive Health at Centene Corporation (center), Lee M. Sanders, MD, MPH and Associate Professor of Pediatrics at Stanford (right), and Josh Lee Principal at Deloitte Monitor (left) at Exponential Medicine. Sanders outlined three primary barriers to health equity that determine outcomes: chronic care coordination, preventative care, and health literacy. His model examines these barriers and assesses the risks they pose to the most disadvantaged population groups. “For every condition, there’s efficacy treatment or prevention, and efficacy technology. Our job is to create access to that technology for everybody who needs it,” said Sanders. Efficacy technology can range from vaccines to chemotherapy to nutrition for a pregnant woman. Social factors determine more than 50 percent of health outcomes, and knowing this, Sanders urged the audience to think about health technology within the social context of treatment. Specifically, it’s critical to view the relationship between social and biological factors as intertwined rather than opposed, and to make technology solutions that mirror this elastic association. It appears technology solutions alone cannot solve our nation’s health problems if they are not created to function within the social context of a patient’s real life. New health technology must be paired with effective systems focused on creating timely access and distribution of services. Wilder, Lee, and Sanders all shared a common goal and challenge for the room. 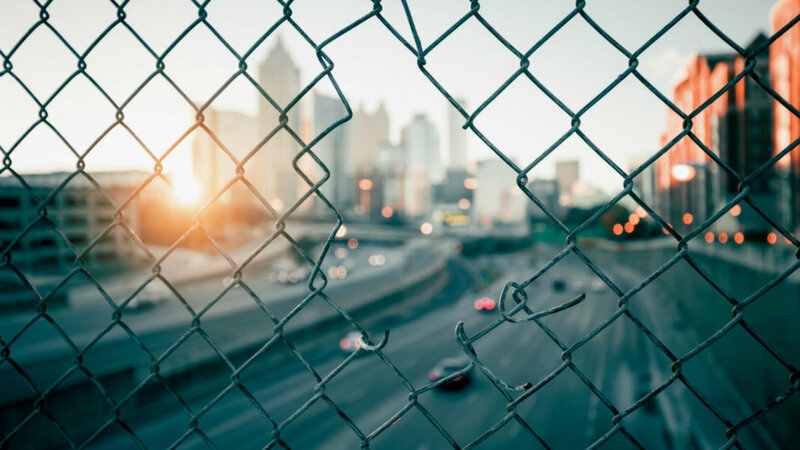 They want to see entrepreneurs and people beyond the scope of medical practitioners start harnessing the power of innovation to disrupt the social determinants of health. In doing so, they hope to create better and more equal health care outcomes in the country. Though there are examples of innovative health programs that are making a positive impact, it seems like many remain siloed. UberHEALTH, for example, could offer on-demand care, but this is likely a service that only the wealthy could afford. An example on the other end of the spectrum is the HAIR Campaign program in Maryland. It’s an incredible community-based intervention program to make barbershops and beauty salons spaces where the community can access health education and medical services. But this program seems to lack a technical component. There’s a long road ahead for blending public health work and health technology, but the outcome could be powerful.